Grazzini-Rucki has started down a very dangerous road. She thrives off of chaos and the attention it brings. Not satisfied with the damage and pain she has already inflicted, Grazzini-Rucki is working to create more lawlessness in society. 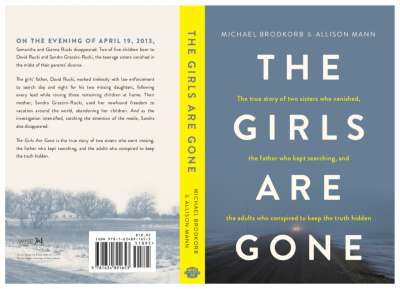 Grazzini-Rucki operated on the fringe of society long before she took her daughters near their home in Lakeville and later abandoned them on a ranch in northern Minnesota for over two years. After being convicted last July on six felony counts of deprivation of parental rights, Grazzini-Rucki has started a dangerous quest for martyrdom and stardom. She has lost in family and criminal court. She has lost in the court of public opinion. Grazzini-Rucki needs to create an alternative world, one in-which she is persecuted and hunted. The cult-like followers around Grazzini-Rucki have dwindled in recent years, mostly because Grazzini-Rucki’s criminal activity had been exposed. To assist in her recruitment efforts, Grazzini-Rucki uses her new world, which contains imaginary court battles and conflicts with judges and the judiciary. In her desperation, Grazzini-Rucki has spent hours a week on various podcasts telling the “facts” of her story. Grazzini-Rucki has reinvented the “truth” surrounding her incarceration and she now presents herself as an expert on alleged court corruption. During her criminal trial, Grazzini-Rucki testified that she had been repeatedly “dishonest” when she previously testified under oath in her divorce and custody proceeding with her ex-husband, David Rucki. So how does an admitted liar, without any concept of the truth or reality, communicate their story? By gaslighting. Gaslighting is an antiquated term which has recently reemerged into our contemporary lexicon. We have seen “gaslighting” used as a social media hashtag, with more people becoming familiar with the concept. 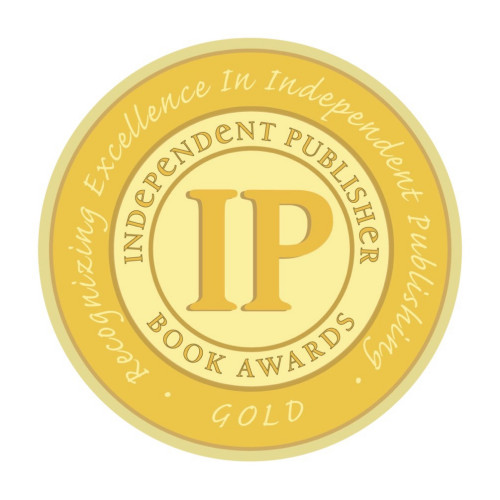 The term came from the 1944 film staring Ingrid Bergman titled “Gaslight.” The premise of the film is that Bergman’s character is lead to believe she has gone crazy as her husband alters her reality. Grazzini-Rucki is using this technique in an attempt to gain support. She has made outrageous claims which serve only to frighten parents in custody and divorce proceedings to perhaps convince them to do what she did. She is making these fanciful claims about the courts that are meant to diminish trust in the current system and lead people away from following the law. 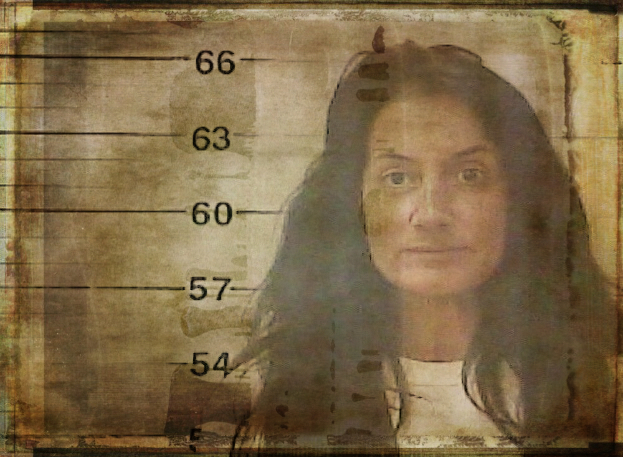 Weeks before, Grazzini-Rucki was interviewed on a different podcast and said, “what a fool I was to believe in the police and the court system.” She added, “don’t think it can’t happen to you.” In what could only be heard as a warning to others that if you chose to enter the system, you will not make it out without persecution. Days after making his statements about Grazzini-Rucki, Grigsby was granted his request to be released from serving as Grazzini-Rucki’s criminal defense attorney. Just over a week after being released from jail last October, a warrant was issued for the arrest of Grazzini-Rucki. During the brief hearing about the probation violations, Grazzini-Rucki acted inappropriately in court. Grazzini-Rucki smiled and giggled during the proceedings and the court instructed Grazzini-Rucki to pay attention to the proceedings, as she kept looking into the gallery of the courtroom at two of her supporters. The court later ordered Grazzini-Rucki to provide the Dakota County Community Corrections (DCCC) with her residential address and wear a GPS monitor until DCCC was able to verify her residential address. But Grazzini-Rucki physically refused to allow a GPS monitor to be attached to her leg and she would not provide DCCC with her residential address. A second warrant was issued for Grazzini-Rucki’s arrest and another series of court hearings were held to determine how to enforce the conditions of Grazzini-Rucki’s probation. The court determined that Grazzini-Rucki had violated her probation multiple times since being released from jail last October. Grazzini-Rucki was placed on “court-supervised probation” because she repeatedly refused to provide DCCC with a verifiable address and she would not comply with GPS monitoring. She was released from jail again last November. Grazzini-Rucki was intentionally violating her probation in an attempt to bypass the court’s decision to prohibit her from executing her complete sentence. She wants to serve her full sentence in prison, thereby avoiding being on probation for the next six years. Grazzini-Rucki made her first request to execute her sentence within hours of her sentencing hearing on September 21, 2016. Each time Grazzini-Rucki violates her probation, a warrant is issued for her arrest. Once arrested, Grazzini-Rucki is held in jail until a determination is made on whether she violated her probation. 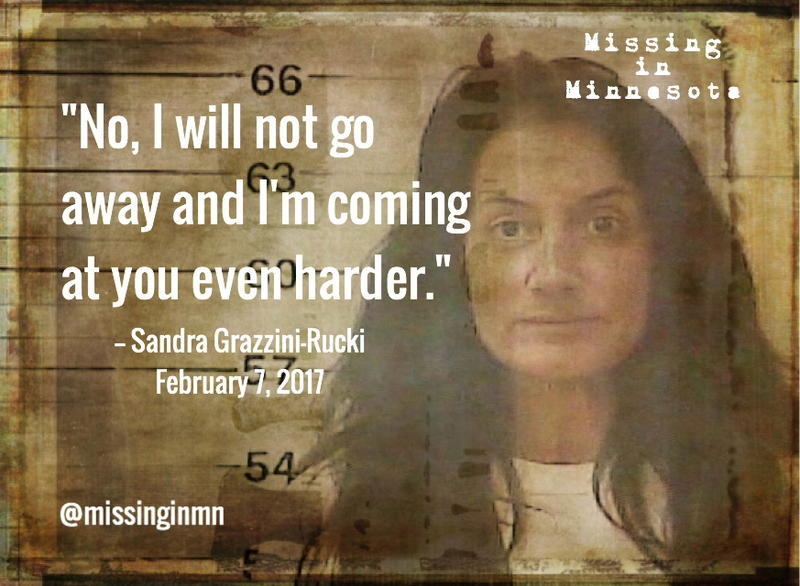 Since being released from jail on October 24, two warrants were issued for Grazzini-Rucki’s arrest, forcing numerous court hearings, which ultimately reduce the number of days she has remaining on her sentence. 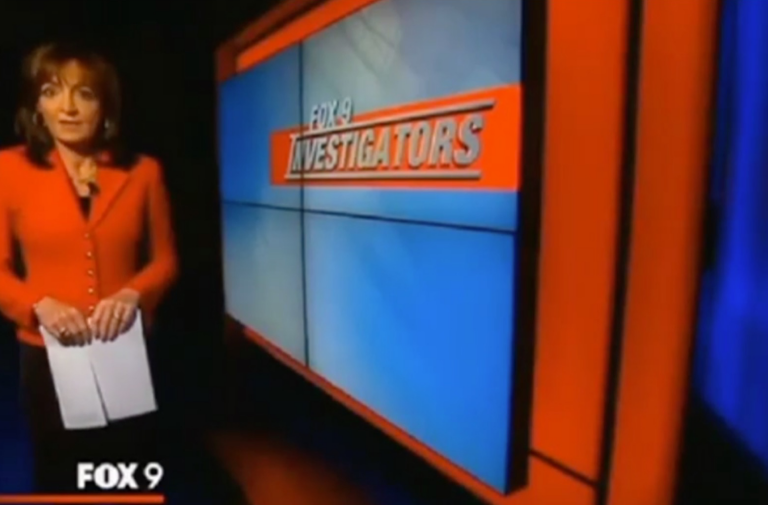 Grazzini-Rucki took to the airwaves in December to boast in a radio interview that she had violated court orders by communicating with additional people who were criminally charged related to the disappearance of her two daughters. 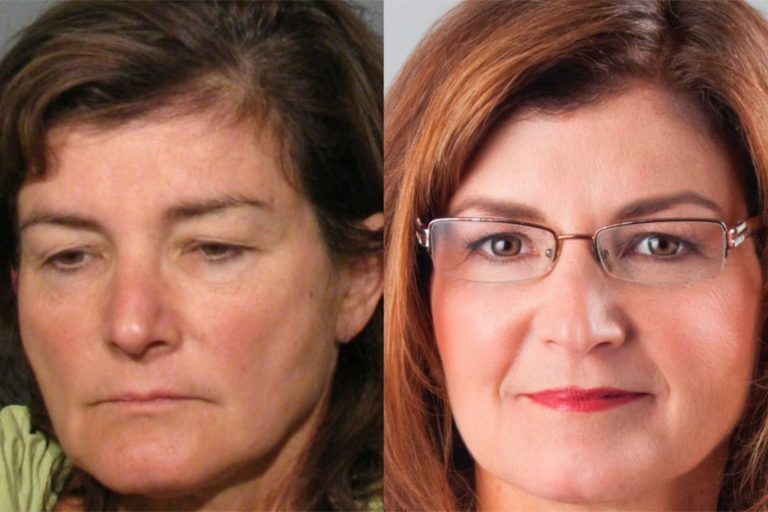 Judge Karen Asphaug, who presided over Grazzini-Rucki’s criminal case, and had the same role in the criminal proceedings of Dede Evavold, along with Doug and Gina Dahlen, issued court orders which prohibited any contact between Grazzini-Rucki, Evavold, and the Dahlens. Grazzini-Rucki admitted in December that she had recently spoken with the Dahlens in violation of the court’s order. She also acknowledged speaking with Evavold. 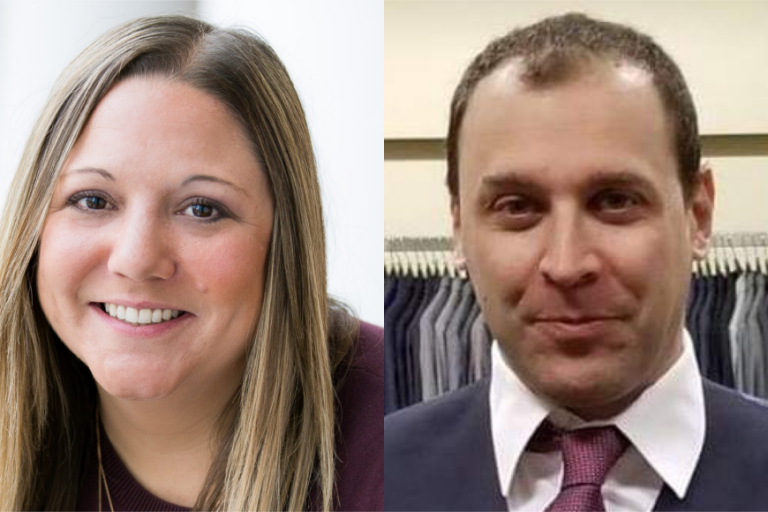 Despite the specific instructions from the court prohibiting communications, evidence collected over the last few months show Evavold and Grazzini-Rucki have remained in contact. 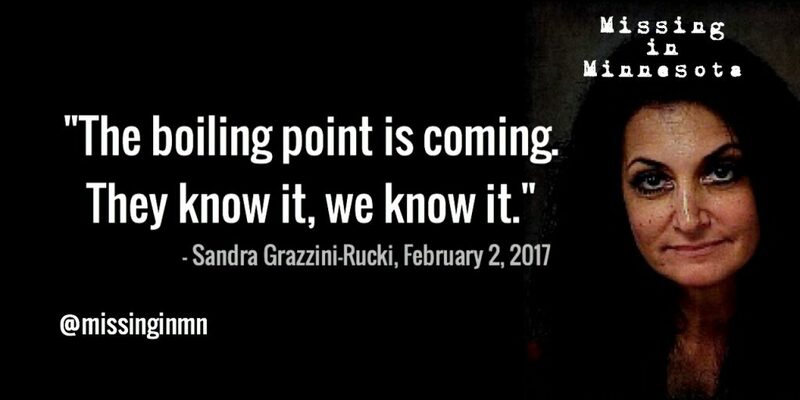 Grazzini-Rucki’s statements in recent interviews and podcasts make direct references to coming conflicts with the enemies she has constructed in her alternative world. She isn’t even coy about it. “They should be afraid of us because we’re coming at them and we’re coming at them with everything we’ve got and they’ve go no where to hide,” said Grazzini-Rucki last week. Since being released from jail, there is no evidence that Grazzini-Rucki is working. Based on her media interviews, Grazzini-Rucki’s current mission is dedicated to retelling the same old stories about her battles in court, or she is creating new fictitious tales. Questions have been repeatedly raised in the past about Grazzini-Rucki’s mental health. Based on her recent statements and behavior, the unanswered questions about her mental health provide an uneasy picture into the mind of Grazzini-Rucki.